Everyone has their favorite running shoe for road, trail or just walking around in. 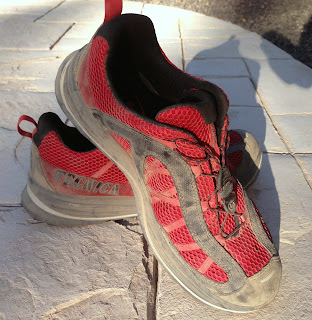 My current favorite trail shoe is the semi-oversized Tecnica Inferno X-Lite. However, for longer runs where the ground is uneven with rocks, roots, rivers and generally tough conditions you find on a trail the extra cushioning and hard toe help protect your feet. In addition to the nice ride, the quick bungee lacing system eliminates worrying about whether your laces come undone or not. The top is breathable so you wouldn't want to submerge the shoe and I'd imgine the shoe itself would trap water; however, the shoe is sealed and I've gone through puddles and haven't noticed any water getting into the shoe at all. Very nice. I haven't purposely submerged my foot yet to see how much water the shoe retains but I guess that would be the next test to simulate real winter or spring running. In short, I'm very happy with these shoes as a semi-cushioned long distance trail shoe. Last weekend I did a training run in the Mill Valley, CA area in preparation for The Dipsea Race coming up. 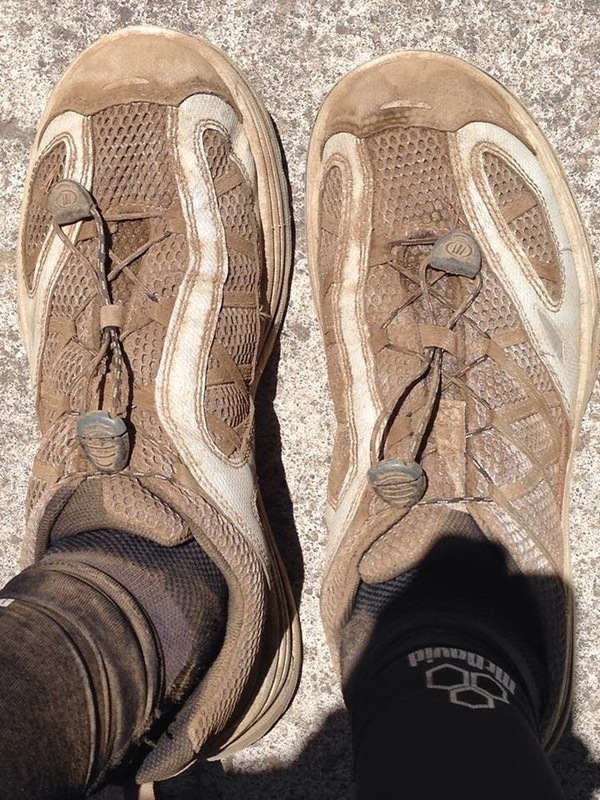 I wore my now second pair of X-lites which performed very well on a tough course. The shoes started off a white tone and everything came back covered in dust a nice light brown in color. I do own a pair of Hoka Stinsons but I still like the X-lites for tougher trail conditions with lots of exposed rocks, roots, etc; mostly, because the X-lites have a larger and reenforced toebox.